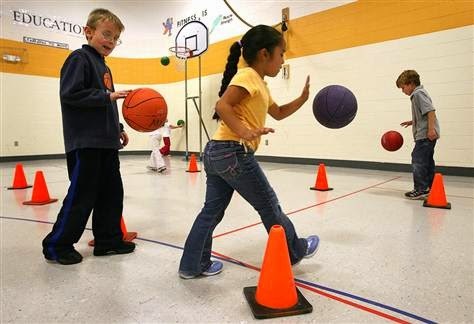 Wouldn't it be great if childhood obesity could be tackled with PE classes and after-school sports? Unfortunately believing or wanting something to be true doesn't make it so and study after study looking at the impact of activity levels on children's weights demonstrate that while incredibly good for their health, exercising doesn't tip the needle on the kids' scales. Well add this meta-analysis to the mix. Published in Preventive Medicine the authors pulled randomized controlled trials of 6 months or longer in duration that looked at the impact physical activity interventions had on body mass index, blood pressure, total cholesterol and triglycerides. In total there were 11 such trials that together included 10,748 children. The results were pretty clear. 6 month or longer physical activity interventions weren't associated with reductions in BMI, but they may have a positive impact on the kids' blood pressures and triglycerides. Yes, I know I'm a broken record, but for the record, weight is lost in kitchens, health is gained in gyms.